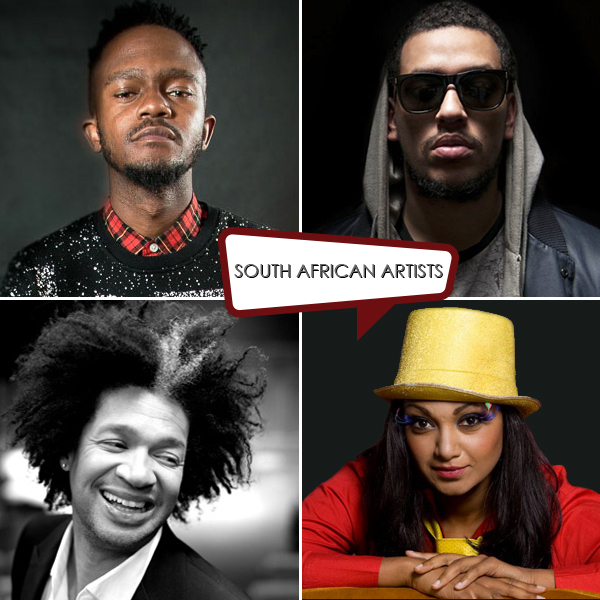 South African artists have made us proud on an international platform yet again. South African DJ and record producer, Nkosinathi Innocent Maphumulo, better known by his stage name, Black Coffee, performed at the legendary Appolo Theatre in New York beginning March. This is an honour only a handful of South African artists have had the privilege of experiencing; one of which was the recently deceased S.A legend, Hugh Masekela. "It has been one of my greatest dreams" said Black Coffee. More on the International stage this month will be Kwesta, who will be performing at the prestigious SXSW music festival in America. Excitingly, hip hop artist and record producer, AKA, is going with. More locally, we have Marc Lottering to perform at the Baxter Theatre from 2 -28 April as beloved character, Aunty Merle Abrahams. Aunty Merle: The Musical is back by popular demand and we can't wait to see the show. However, with most good news, comes some bad news and sadly beloved Tumi Morake has announced her resignation from Jacaranda FM. Her last official day on the air is the 9th of March. With that said, her resignation is due to new exciting ventures, which include an international stand-up tour in Australia. We are excited to see what else lies in store for the talented Tumi Morake. It is with great pleasure to see these artists, and others, strive and achieve their most success. Remember, should you need a celebrity performance or reputable band for a special event, contact us for further information. We have over 1000 celebrities listed with us and we are ready to assist.